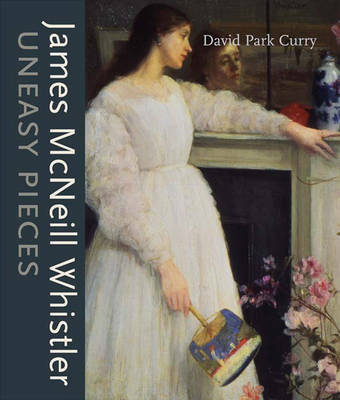 James McNeill Whistler was one of the most misinterpreted creative talents of his age. While devoted to the expression of the beautiful, he was among the first to recognize that popularized arts and commercialized leisure were complex, interrelated phenomena that made urban life "modern." Whistler's showmanship had far greater impact than countless imitations of his The White Girl and Portrait of the Painter's Mother might suggest. His purposeful use of past art; his intermingling of private and public spaces; his ability to tailor his work to the realities of the Victorian marketplace; his understanding and exploitation of shifting economic, class, and gender roles; and his clever use of fashion and decoration all lead us to a richer understanding of "modernism" and a broader assessment of his contribution to it. Whistler's emphatically aesthetic pictures, made the more inscrutable by purposefully confusing titles, remain uneasy pieces to the present time. Probing some of these tensions, Dr. Curry explores the intersection of Whistler's determined aestheticism with the commercial art world. Key examples of Whistler's paintings, drawings, and prints are set against related images from both fine art and popular culture drawn from the past two hundred years. Approximately 250 color and monotone illustrations.